Prepare cake batter as directed on package; blend in dry pudding mix. Spoon into 24 paper-lined muffin cups. Bake as directed on package for cupcakes. Cool completely. Dissolve drink mix in hot water. Stir into frosting in bowl until well blended. Use to frost cupcakes, reserving some of the frosting for attaching the decorations. Cut each licorice piece into 16 (2-inch) lengths; set aside. 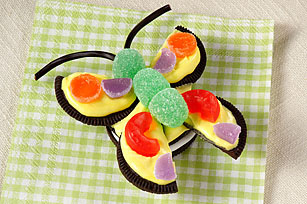 Place 1 cookie on top of each cupcake; insert 4 licorice pieces into frosting on each side of cookie for the spider's legs. 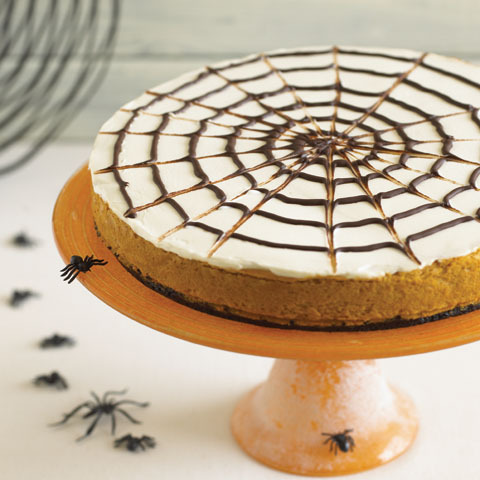 Use reserved frosting to attach chocolate pieces to tops of cookies for the spiders' eyes. 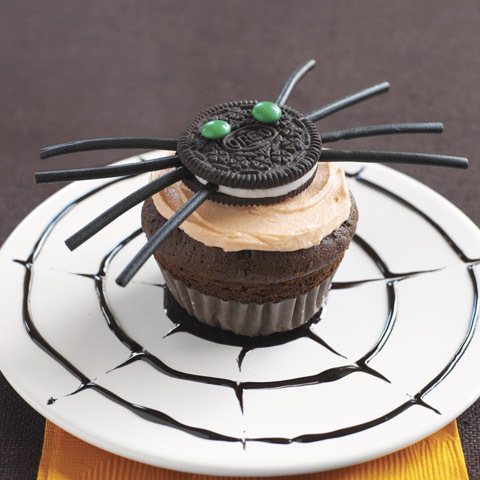 Size-WiseWith their built-in portion control, these spooky cupcakes are great treats to serve at a kids' Halloween party. 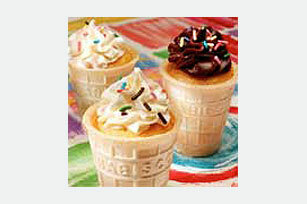 Make AheadCupcakes can be decorated up to 8 hours before serving.